Get inspired and scribe your adventures for HI Slovenia's e-zine, Globetrotter. 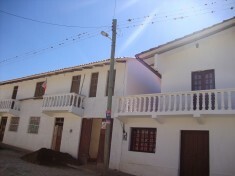 Get stuck in with social volunteering projects in rural Bolivia. “Volunteers are constantly encouraged to explore the country and to benefit from what Scotland has to offer." Stay between 6 weeks and 3 months at different hostels in Western Norway through their social volunteering programme. Life is short, so do something meaningful, and do it somewhere unfamiliar. At HI, we support community projects, eco initiatives and of course hostels – our spaces for cultural exchange - all over this incredible planet of ours. 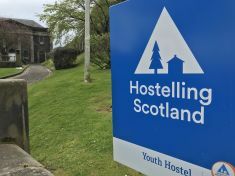 We’ve been offering travellers opportunities through the youth hostelling movement, opening eyes, connecting people from all walks of life and challenging perceptions for around a century. Here, we look to the rest of 2015 and into next year to see what’s happening and how you can do something of real value around our global network. From community development workshops in Spain, or lending a hand in the great outdoors in England, to environmental restoration in Australia or learning Spanish and teaching in Bolivia, the coming months look pretty promising. Whether you want to volunteer and visit a new place solely to dedicate your time and skills to a good cause, or you plan to be a voluntourist – getting involved in a shorter-term commitment as part of your bigger travel plans, now is the time to get stuck in and give something back. HI Bolivia also runs social volunteering programs combining Spanish lessons with teaching and supporting local schools in Bolivia’s mountainous regions – a perfect way to give something back to local communities. Depending on your talents and interests you can work in one of these areas:- Heath services, school assistance, youth work, environmental projects, agriculture, craftsmanship etc. HI Norway: "Life is short. Do stuff that matters"
Spread your wings and fly to Western Norway to take part in their Social Volunteer Program. 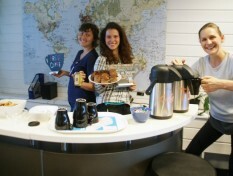 Here, volunteers can stay between 6 weeks and 3 months at different hostels in Western Norway. Enjoy fun, friends and new opportunities in the US whilst giving something back. This super cool, bohemian hostel in Budapest, Hungary is offering free beds to those who want to volunteer there between November and March - great opportunity for travellers taking a break.